LordsWM.com Lords of War and Money. Online Game. 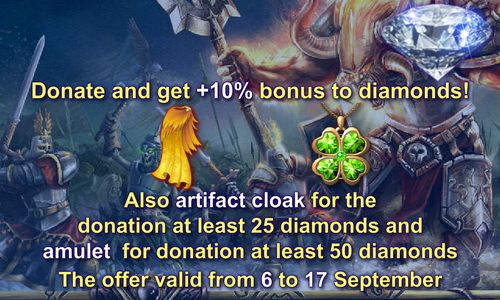 Donating by any means you get +10% more diamonds! is more than 25 diamonds. is more than 50 diamonds. The offer is valid from 6 to 17 September 2018 inclusive!